How I became a marine biologist. 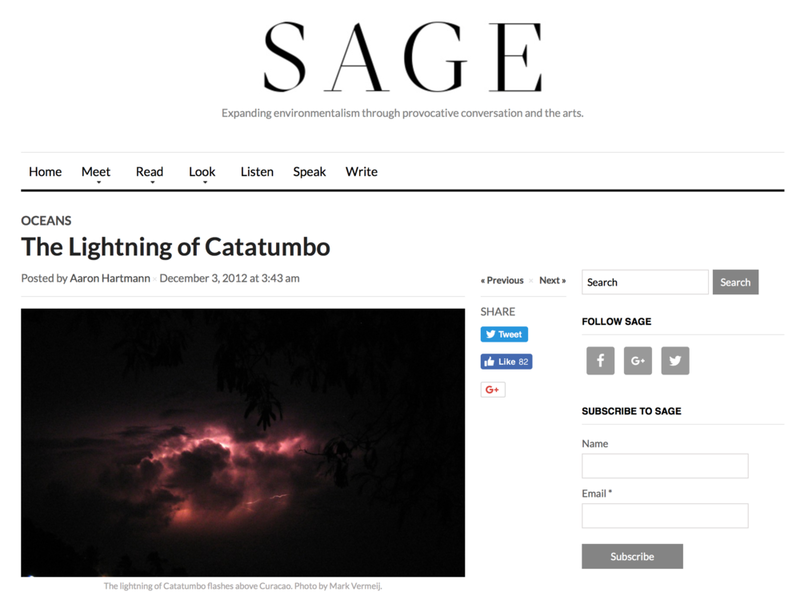 The Lightning of Catatumbo is a creative nonfiction piece I wrote about the social and environmental issues surrounding coral reefs on the Caribbean island of Curaçao. My story can be found here. I wrote a blog post and a letter to the editor in Science to bring more light to this under-diagnosed disorder. I have advised the production of a high school and a university-level documentary on coral reef conservation. The Pace University film was part of an undergraduate course co-taught by Andrew Revkin and that I hosted and advised group when a the class visited Curaçao. The High Tech High School (San Diego) film included taking a group of high school teachers to Curaçao. A project meeting for the Pace University documentary class prior to shooting their film about conservation issues in Curaçao. An article in a Curaçao newspaper about the High Tech High project I helped lead learning and documenting coral reef conservation issues with the island as a case study and documentary subject.